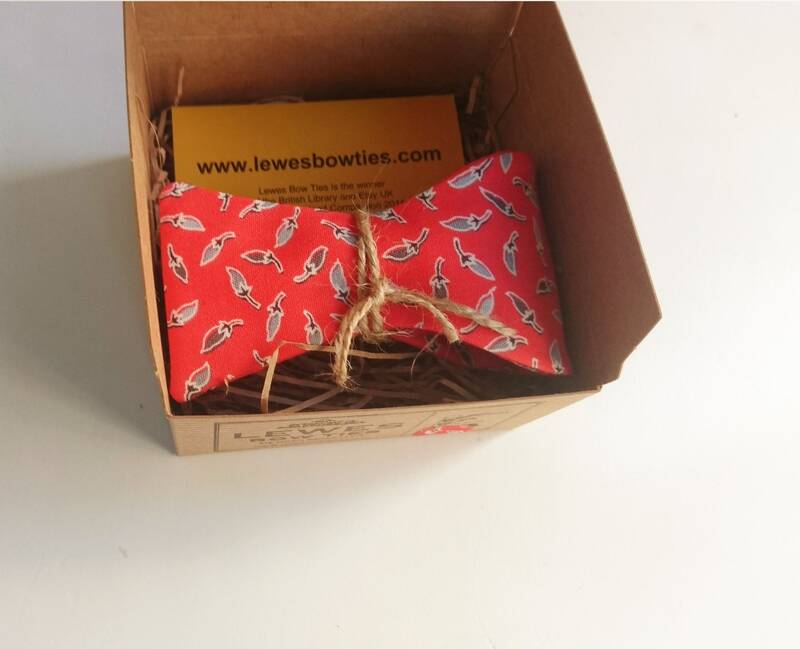 CORAL SELF TIE BOW TIE. 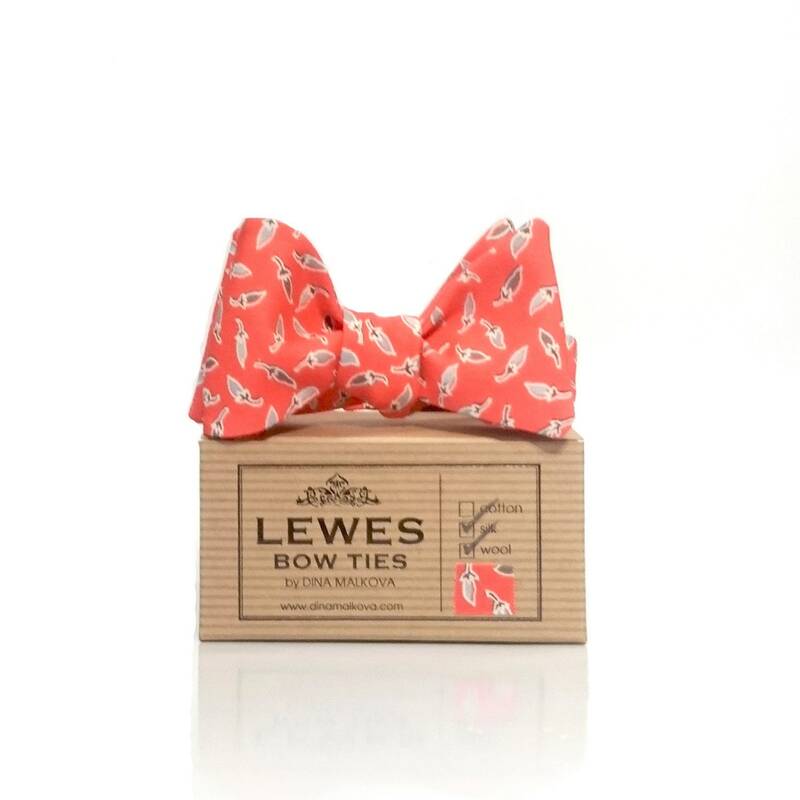 Stunning coral Japanese silk and wool self tie bow tie. 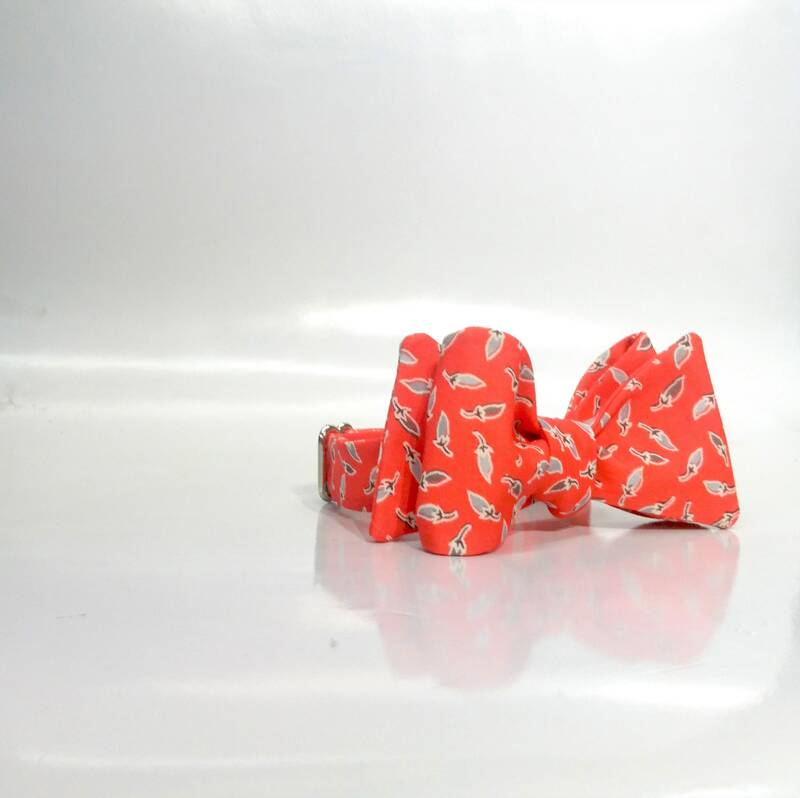 This bow tie is a beautiful bright coral color with tiny chilli print all over. 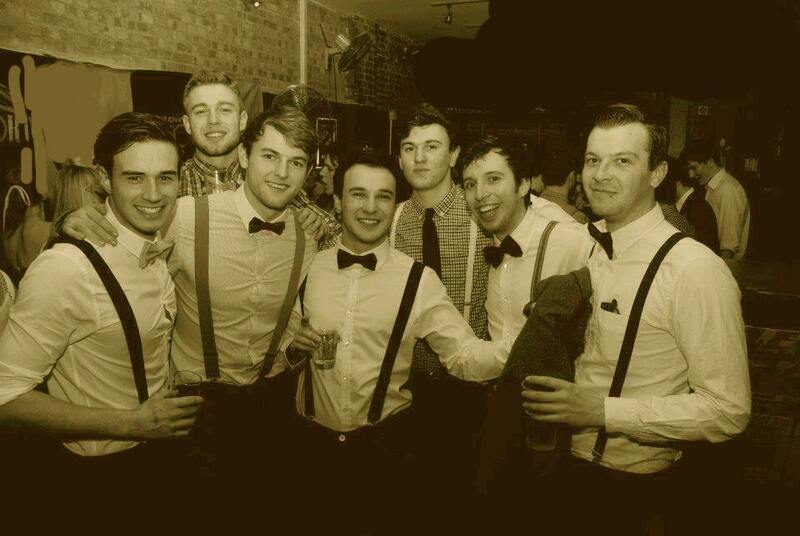 A head-turner!